Piece 4 of Swimming with Gems. 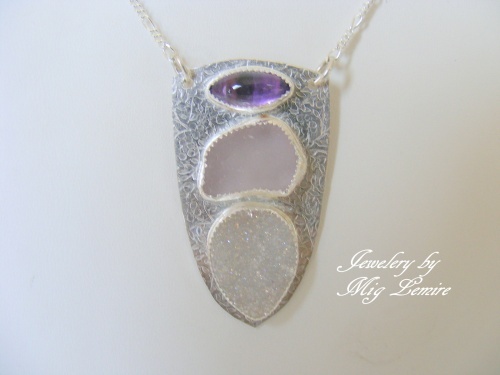 This piece is so stunning with an amethyst gemstone topping a striking lavender piece of authentic seaglass and a sparkly druzy with lavender hues. Set on a sterling silver hand patterned backplate. Hangs on a sweet sterling silver chain. One of a kind. Cannot be reproduced.